Toilets are one of the things those of us in modern society tend to take for granted, until they don’t work. Since most of us have eliminated the outhouse as an option (no pun intended), when our toilets don’t work things can get ugly in a hurry. 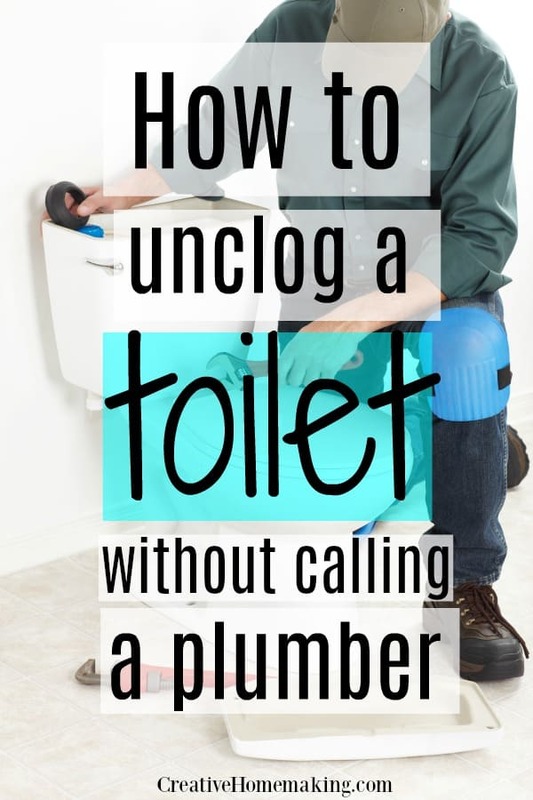 The good news is that unclogging a clogged toilet is something anyone can learn to do. There are a lot of different shapes and styles of toilets but, with a few exceptions, they all work about the same. Water is released from the tank (many commercial toilets use a special valve instead of a tank) into the bowl to flush the waste into your drainage piping. Basically pretty simple, right? The two main problems that happen with toilets are the toilet running (the water not shutting off after flushing) and the toilet bowl plugged (not draining or stopped up). While a running toilet wastes water and can be annoying, if you have a toilet bowl plugged it’s a little more urgent. On a scale of 1 to 10, maybe a 12! In fact, one Google search term study calls most people’s #1 plumbing problem a plugged toilet. 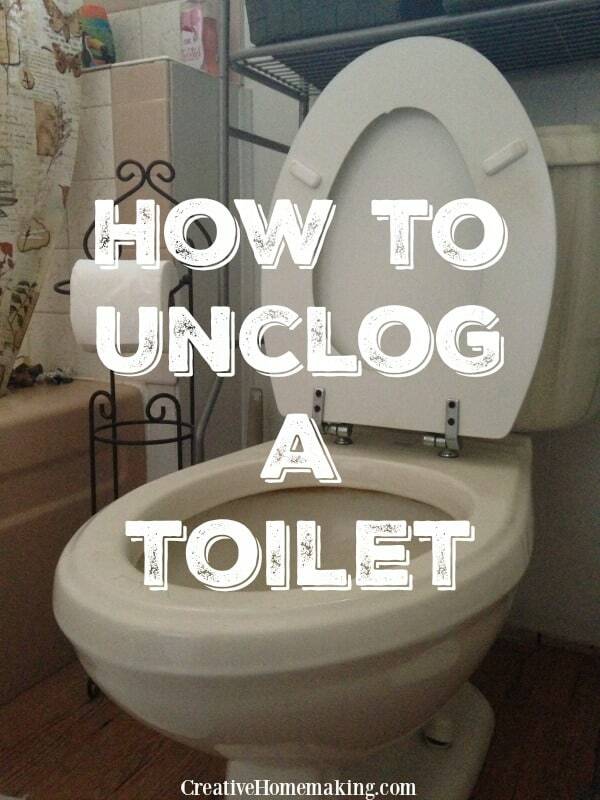 Anyone can learn how to unclog a toilet. It just takes a little patience and the right tools. The first thing you need to fix a plugged toilet is a toilet plunger. These are a little different from a sink plunger, which looks like a rubber bowl on a stick. A toilet plunger is designed specifically to direct the force into the waste outlet of the plugged toilet bowl. The business end of a toilet plunger looks sort of like a ball with an opening to fit into the waste outlet of the toilet. One type that is very effective has an accordion like design and is all plastic, including the handle. The way a toilet plunger works is by filling up with water and then pushing that water through the stopped up drain. When unclogging a clogged toilet, the idea is to plunge up and down a couple of times so the plunger fills with water and then jam the open end, sometimes called aforce cone, into the waste outlet in the plugged toilet and start plunging. You may have to pump the plunger up and down several times to clear the blockage. When you are learning how to unclog a toilet you may need to be fairly aggressive with the plunger. The key is to force the water in the plunger through the waste outlet of the toilet, dislodging the blockage in the process. If you don’t splash a little out of the bowl you probably aren’t plunging hard enough. Ever wonder why plumbers charge so much? This will usually be all you need to do to fix a plugged toilet. Sometimes, however, a plunger just won’t do the trick. If you’ve plunged a while with no success you might need to try another approach. It’s time to pull out the closet auger. A closet auger is a special tool that can be used to clear an especially stubborn plugged toilet. A closet auger has a short drain cable, or snake, inside a metal tube that is bent on the end to aim the cable into the waste outlet of a toilet bowl. The cable is just long enough to get through the toilet and is connected to a handle the same length. You can get one of these at your local hardware store for as little as $10. The way to use a closet auger is to pull the handle all the way out, insert the business end into the outlet of the toilet bowl that’s plugged and crank it down into the bowl, making sure the cable goes into the drain. When the bowl drains, flush the toilet while you’re pulling the cable back to help clean the cable. It’s a good idea to flush some toilet paper through a couple of times before you put your auger away just to be sure. With the growing focus on water conservation more and more communities are requiring toilets that use less water per flush. In spite of the best efforts of the toilet manufacturers to increase performance, this is likely to continue to make our most common plumbing problem a plugged toilet. So you might as well go ahead now and learn how to unclog a toilet yourself. You’ll be glad you did. 1 Comment on "How to Unclog a Toilet without Calling a Plumber"
dish detergent is exactly correct and if your bowl Is not completely full add hot water as hot as you can get it. with that and the soap most times u won’t even need that nasty ole plunger.